The HiRes XDP-100 digital audio player from Pioneer is the right travel partner for demanding music fans. It plays HiRes WAV and FLAC files with Studio Master resolutions of up to 384 kHz/24 bit and DSD files of up to 11.2 MHz. Play music very flexibly from the internal memory or wirelessly directly from the network or from streaming services such as Tidal, Deezer and Spotify. Upload HiRes files directly from the onkyo music shop onto the XDP-100’s hard disk. With the futuristic MQA format it is possible to stream high-resolution audio files easily via the internet; the data quantity is therefore not larger than that of a FLAC file. Pioneer’s experience and knowledge in the development of highly-demanding audio components is also reflected here in the selection of the best elements and a design optimised for sound. Explore your music collection intuitively with the unique user interface, experiment with individual music settings and, thanks to the great, fast-reaction touch screen and access to the Google PlayTM, experience the unlimited possibilities of the XDP-100R. The higher the resolution of digitally stored music, the greater the amount of data required. The revolutionary master quality authenticated (MQA) lossless format provides the sound quality of a master recordig, but also makes much smaller data quantities possible through its very efficient, loss-free method of compression. You can therefore easily play high-resolution music directly from the internet on your player. MQA is also backward compatible with the FLAC format and can thus be played on any FLAC-compatible device. Discover the onkyo music shop right on the XDP-100R digital audio player. Buy high-res music online and download the songs directly on to your digital audio player, without taking circuitous routes on your PC. You cannot buy music in an easier manner. This device is primed for Tidal’s music streaming service. This means that you always have millions of songs close at hand. You can therefore play an album, a song or a playlist whenever you want – and without loss in quality caused by data reduction; in fact, the files are compressed in such a way that there is no loss in quality whatsoever. The device’s design and layout are oriented towards tried-and-tested audio circuits and separate the circuitry from the power supply and from the processor in order to prevent noisy disruptive influences from negatively affecting the sound. 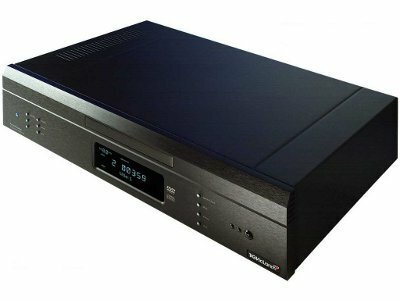 The outstanding ESS SABRE DAC D/A converter ensures that the digital information is converted in an excellent manner, while the SABRE 9601K amplifier from ESS provides the differentiated sounds. Detachable absorbers on the upper and lower side of the player protect the cable and the plugs. Use the innovative xDAP link to send your favourite music quickly and easily from a PC to a digital player. With the unique user interface on the player’s 4.7-inch touch screen, you can quickly access all of the important control functions. Mechanical buttons and a control dial mean the device is extremely easy to operate. With the AndroidTM operating system and access to Google PlayTM you have the full range of options provided by a modern mobile device at your disposal. Install apps for internet radio, additional music services or games. DAC & HP Amplifier: ESS SABRE DAC "ES9018K2M" + Headphone AMP "SABRE 9601K"